Stomp & Holler – now no more! Before Mumbo-Jumbo and Stomp & Holler there have been a long list of other bands. Serial monogamy is the musicians state. Working chronologically backwards here are a few. The Big Blues Tribe – Big nine piece blues band with five brass and six voices. Played lots of festivals and gigs across the UK. The two Tony’s, Abby, Steve, Beth, Carolyn, Mike and Dave. 3 Man Jam! – Oliver’s first go at small acoustic playing with Neil Worrall and Mike Nock. Played loads of gigs and festivals. 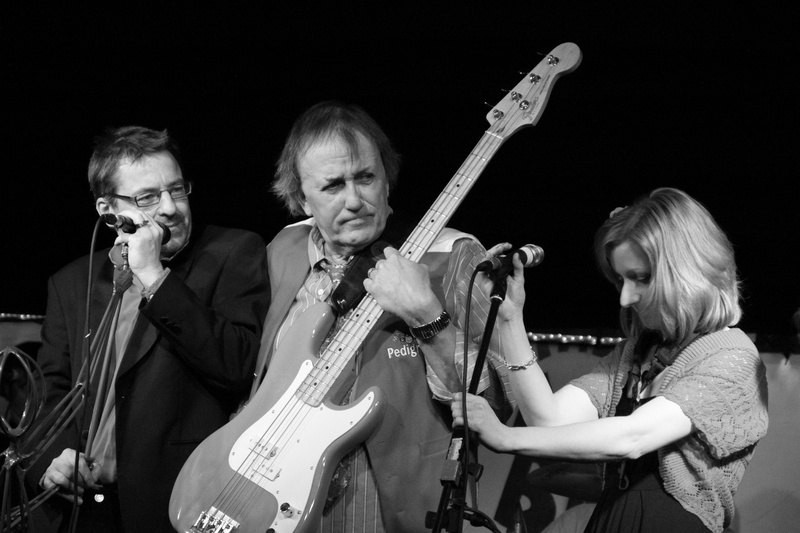 Backdoor Blues Corporation – Traditional pub blues band – as good as they get. Two albums still available. Very jolly and a good bunch of guys! Back 2 Miami – Oliver’s stint with old soul with all the old favourites. Sneakin Suspicion – Where Oliver met Tony, and Tony, and Pete, Rob and more. Thought it was a blues band but ended up playing rock n roll! Colonel Mustard’s Red Hot Boogie Band – like everybody’s first pub band with colour! Jumpin Mutha Earth – Oliver’s introduction to pub playing with Ernie Chataway and Chris Lomas. Albert Hall – Oliver’s alter ego playing his original music. Solo with own recorded backing tapes and live singing piano and more – what must it have sounded like?